Welcome to this month’s CTMH Technique Blog Hop. If you have already started the hop, you should be coming from Helen Gullett. This month we are featuring CTMH’s Thin Cuts. Please note that the Springtime Wishes Thin Cuts have sold out. Marigold, and Mahogany), yarn, and knitting needle. Pattern available for free at Ravelry.com (Thank you Marianna!). 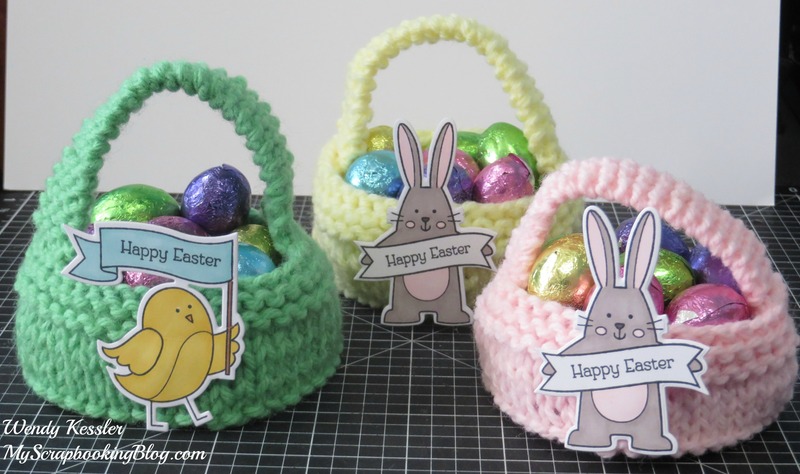 I have combined my hobbies to create these cute little easter baskets!